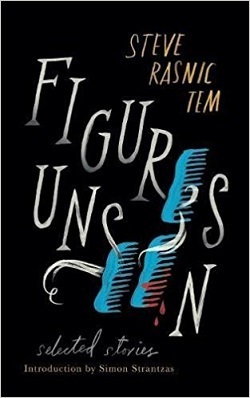 Figures Unseen: Selected Stories, the latest collection by Steve Rasnic Tem, is a master-class in weird fiction. The circumstances in these thirty five stories are disturbingly familiar, the settings uncomfortably domestic. Tem’s flawed and damaged characters struggle to hold on to some semblance of normalcy as their lives come apart. They become monsters, but they do not mean to. They misunderstand. They make poor choices. They fail each other the way we all do, at some point. It’s no surprise that reading Tem’s work in Figures Unseen is in many ways like coming home. Steve Rasnic Tem knows his craft. 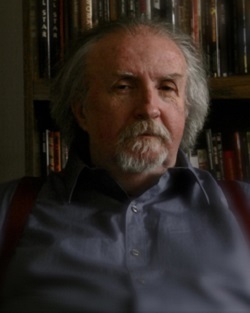 He has published seven novels and more than four hundred short stories over his decades-long career. With his late wife, Melanie Tem, he wrote Yours to Tell: Dialogues on the Art & Practice of Writing. His language is beautiful, tactile and vivid, shot through with descriptions like ”She bought Julie a doll on her way to the airport, a floppy thing with huge, aimless eyes” and “rising with the orderly progress of the flames, set free into air and light, and they all, all of them stopped their lives that day to watch”. “City Fishing”, is a bizarre coming-of-age tale reminiscent of both Dante’s Inferno and classic zombie fare. “Houses Creaking in the Wind” provides a grim, brief summary of a man who has lost his wife and children, and may be dead himself. “An Ending” is a particularly nasty piece about a helpless, bedridden couple dependent on their daughter for their care. “Little Cruelties” chronicles the disintegration of a man whose attempts to control his wife and son are demonstrated through the rationalized, titular cruelties. Tem also explores some of the more traditional monsters. But in his hands, what is monstrous is the responses to them, the attempts to normalize them, the desire to make them fit into a rational world or to bend the world to fit them. Two stories here can be identified as vampire tales: “The Men and Women of Rivendale”, and “Vintage Domestic”. Neither fits easily among the common tropes. “Rivendale” offers vampirism as both an inherited disease and a cure for boredom, while “Vintage” phrases it as a desperately private family matter. “Miri” and “Preparations for the Game” can be called ghost stories, but their hauntings are as much conscience as spirit. The protagonist in “Miri” left part of himself behind when he left his troubled girlfriend, while the main character of “Preparations” is trapped in a constant replay of his own sins. His werewolf story, “Grandfather Wolf”, places the predator within the context of family resemblances, responsibilities, and love, without ever dipping into sentimentality. Tem also includes a single Lovecraftian piece, “Between the Pilings”, sad and skewed and effective. In it, Innsmouth becomes a crumbling seaside resort town where the narrator is driven to recapture a lost part of his youth. The unifying theme of Steve Rasnic Tem’s Figures Unseen is, ultimately, the binding power of the family. These stories are driven by the pain of what fathers, mothers, siblings, and friends do to each other, and for each other. It makes Figures Unseen intimate, disturbing, and hard to forget–because when we strip away the weird and supernatural trappings, we are still left with ourselves.